Twitter is the most popular social network among SEO’s and this is proven from the numbers below. 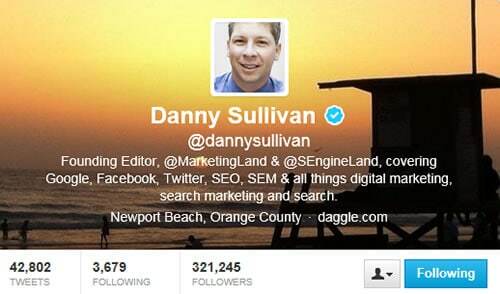 Danny Sullivan the most famous SEO persona is followed by 321, 245 people and he is in the top of our list. A quick comparison with a previous post about the 10 most popular Facebook pages about SEO shows that the number of people who follow SEO related web sites on Facebook is much less than the number of people who follow SEO related accounts on Twitter. How I have selected which accounts to include in the list? There are hundreds of trusted twitter accounts that are related to SEO and social media and the 10 accounts listed below are in my opinion a MUST follow for every Internet Marketer. The list includes both Google stuff and the main influencers in the niche and by following them you are certain not to miss any updates or new development in the area of SEO and social media. Disclaimer: The list is by no means complete, as there are many more accounts that could be included. I have based my selection on the popularity of the accounts (number of followers) and the influence of the particular accounts in the SEO industry. 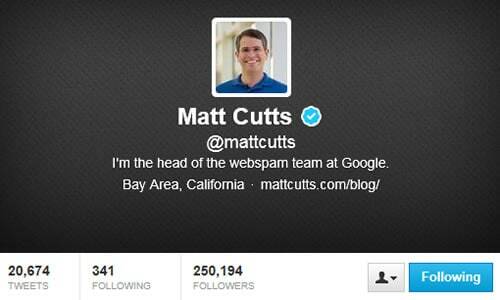 He is among the most popular twitter users in the Search engine Industry. Danny started covering search engines since 1995 and he is a reliable source for industry news and developments. His has good relations with the Google quality team and he is among the first to report and analyze changes made to the Google ranking algorithm. Matt is leading the team responsible for the changes to Google SERPs. He is using twitter to announce Google search engine updates and share interesting new developments about technology in general. 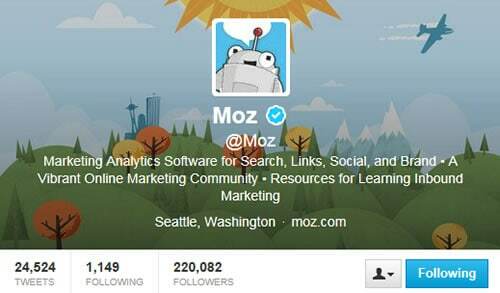 Moz is the new name of seomoz (after their rebranding). Moz is promoting a number of marketing products for SEO and social visibility and they are also hosting a popular blog about SEO and digital marketing. 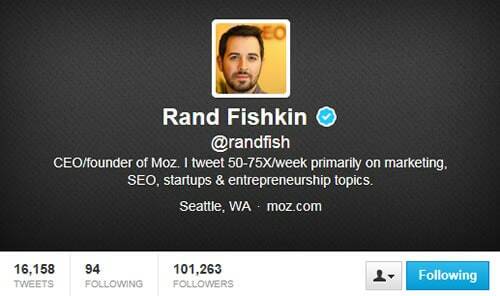 SEOMoz was founded in 2004 by Rand Fishkin (number 9 below). Darren is a professional blogger. 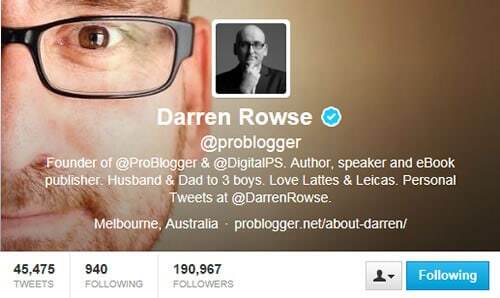 He is among the first people to make blogging a profession and during the last 15 years he founded a number of websites and authored a couple of books. Besides the advice for building successful websites, Darren’s tweets are also motivational and inspirational. Founded by Danny Sullivan, Search Engine Land is by far the most complete resource about digital marketing. 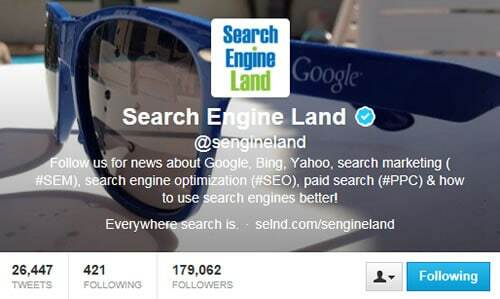 If you are short of time and you only need to follow one website, then search engine land is your best choice. 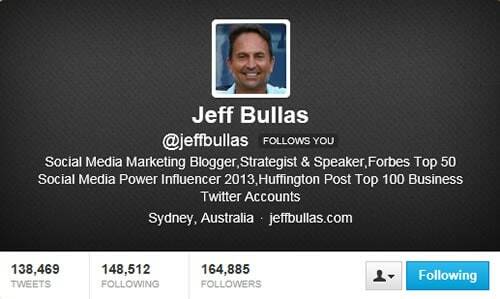 Jeff is a social media marketing blogger and speaker. He is considered by Forbes as a social media power influencer. Jeff tweets about social media and SEO; one of the characteristics of Jeff is that you will receive a tweet from him every 15 minutes. 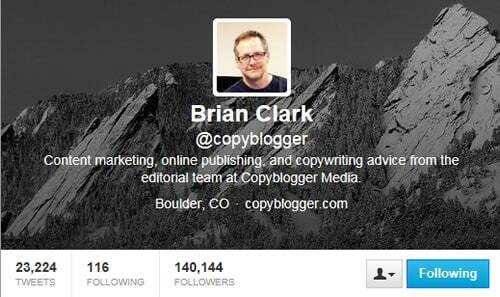 You can read his blog for the tools he is using to automate twitter tasks. It is true that Brian used the term content marketing before anyone else ever understood what it is. He is certainly one of the innovators in the era of SEO and Internet Marketing and copyblogger is one of the most popular blogs in the World. Neil is a successful entrepreneur who used very clever marketing ways to succeed. 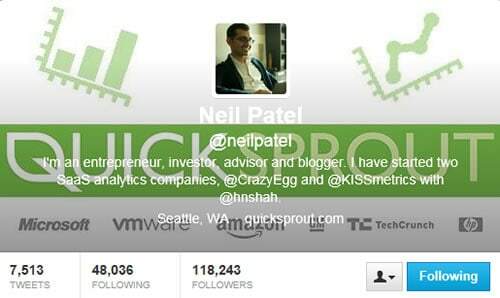 He is the founder of kissmetrics and crazyegg and his posts about SEO and business on quicksprout are the best you can find on the web. Rand Fishkin founded moz on 2004 and on 2007 they launched their first version of SEO tools. Rand in his personal twitter account he tweets about marketing, SEO and startups. Google webmaster tools is a set of tools created by Google is order to give webmasters more control on how Google crawls a website. It is a great way to learn how your website is performing in Google and troubleshoot errors in case of a problem. 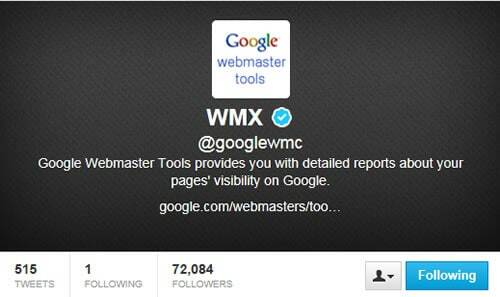 Follow the webmaster tools to stay informed about new tools and developments in this area. Thanks for the post, I even followed most of them.